It's a wrap for Prabhas and Shraddha Kapoor's forthcoming film Saaho's shooting schedule in Hyderabad. The actress shared an update on social media and wrote, "1st schedule wrap on #SAAHO Bittersweet feelings. Have had an amazing time shooting with a fabulous team. Felt so at home in #Hyderabad." Saaho will be made in Telugu, Tamil and Hindi. (It will be Prabhas' first Hindi film and marks Shraddha's Tamil debut respectively). Neil Nitin Mukesh plays the prime antagonist along with Chunky Pandey and Jackie Shroff. News agency PTI reported that actress Mandira Bedi has also been roped in for the film. Weeks ago, a fan club on Instagram, posted some pictures from the sets of Saaho. One of the pictures also featured all the famous Hyderabadi dishes. "The entire team took off some time from the shoot and relished mouth-watering food. There were nearly 17-18 food items served and Shraddha couldn't stop herself, but enjoyed the most amazing food," a source told IANS. 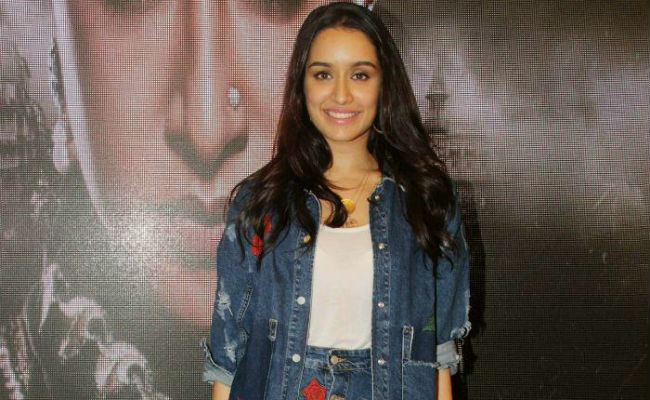 Shraddha's casting was confirmed in the film a couple of months ago. "So, so excited to be a part of the Saaho team and to be working with Prabhas!!! Woohoo," she soon tweeted. Saaho is Prabhas' first film in five years after he wrapped his commitment to the two-part epic series Baahubali, directed Rajamouli. Directed by Telugu filmmaker Sujeeth Reddy, Saaho is an action-packed film high-octane sequences. Internationally recognised stuntman Kenny Bates has been roped in for the action sequences. The film will also be shot across Romania, Abu Dhabi and Europe. Saaho is scheduled to release in 2018.